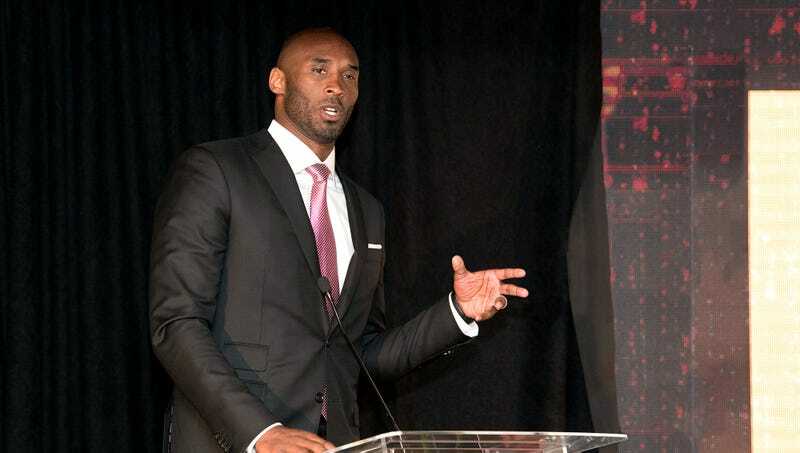 LOS ANGELES—In an effort to destigmatize the condition of those who live with pathological self-centeredness, former basketball great Kobe Bryant held a press conference Friday to announce the launch a new foundation to help children struggling with severe narcissism. “I’ve dealt with this condition my whole life, so I feel a personal responsibility to help these kids who suffer from extreme selfishness,” said the five-time NBA champion, adding that children born without empathy should never feel ashamed, but encouraged to embrace their egotistical nature. “So many kids have to deal with grandiose views of their own talents, yet they don’t have anyone guiding them. I wish I’d had this kind of help back in high school when I was craving attention and screaming at my teammates. I’m just glad I can use my platform to teach young people that they deserve preferential treatment and constant, unwavering admiration.” Bryant added that while starting the foundation had been an amazing experience, it would have been a lot easier if the people working for him could actually follow orders and learn to do their jobs right.